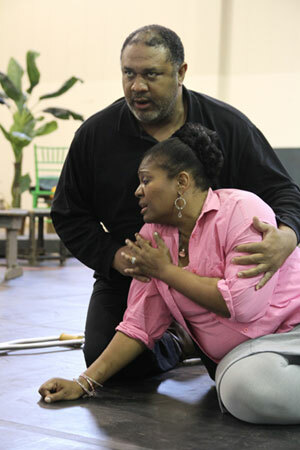 Time is flying by, and we are only a couple weeks away from the opening of our 2011/2012 season with Porgy and Bess. As usual, we'll be bringing you Q&As with members of the cast, and today we kick off with our wonderful Porgy, baritone Gordon Hawkins. He was last seen at Seattle Opera in 2010, as Count di Luna in Il trovatore, and also as Donner/Gunther in our 2009 Ring. Speaking of the Ring, Hawkins came to Seattle this month immediately after finishing San Francisco's production, and we ask him what it's like to go from Wagner to Gershwin, his character, and some of his favorite Porgy recordings. You’re coming to this Porgy and Bess right from the San Francisco Opera Ring, and you must really know both Porgy and Alberich by now. But what’s it like to flip between these two polar opposites? Going from Wagner's Ring to Gershwin's Porgy is kind of like parachuting from a plane at 20,000 feet, and landing on a speeding train. Wagner's emotional and dramatic ebb and flow are incomparable. For three months, I lived and breathed one of the greatest villains in the entire operatic lexicon. Now, I have an opportunity to indulge a more lyrical side. I can play more with spinning melodic lines, perhaps indulging the tone a bit more in certain places. There is a purity, a simplicity, in Gershwin that can only be reached by surrendering yourself to his rhythms. You literally have no choice but to ride his melodic tracks and let your body go with it. In the end, how lucky can one singer be? I have an opportunity to sing two characters that travel diametrically opposing dramatic arcs. Alberich forsakes love to gain the world; Porgy gives up all he owns to reclaim his love. 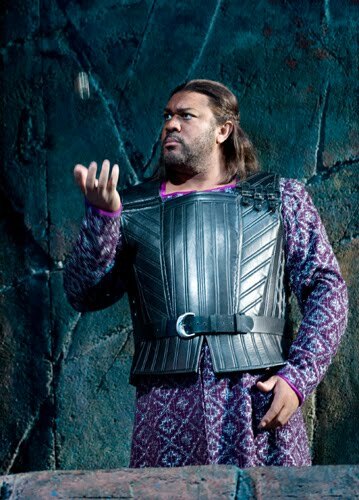 Gordon Hawkins as Siegfried-disguised-as-Gunther in Wagner's Götterdämmerung in 2009. How many nights of your life have you spent singing Porgy? How has your understanding of the character changed since the first time you performed the role? I have sung the role of Porgy nearly 130 times. 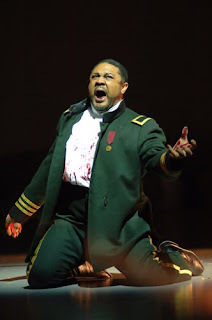 Actually, I have sung Rigoletto the most—and my Alberich tally is rising as we speak! As in most cases, the more I grow as a human being, the more colors I have to paint with. I simply see more opportunities. There are more risks taken, and hopefully these risks help me to illuminate the human condition of the roles I play. I try not to make any judgments about Porgy, making sure he remains a strong, dynamic man. Over the years, perhaps I have learned a bit more about both physical and emotional challenges. Not all of these restrictions are visible to the human eye. Gordon Hawkins (Porgy) and Lisa Daltirus (Bess) in staging rehearsal for Seattle Opera's Porgy and Bess. Sometimes Porgy is sung by a bass-baritone; how does it fit in your baritone range? In terms of the vocal challenges, is there any other role you can compare it to? Audiences should keep in mind that Porgy was written with two singers in mind. Paul Robeson was more of a bass, and the first part of Porgy vocal range sits low to middle. 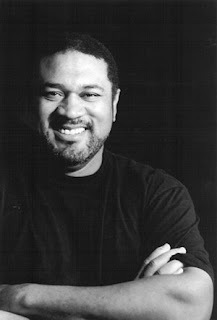 The second half was written for Todd Duncan, who was a high lyric baritone. I believe my voice has the timbre to do the first part justice, but I am definitely more comfortable with the higher tessitura. As a result, while singing Porgy, I cannot invest so much volume and power in the lower range that I have nothing left for the end. Stamina is crucial. Being smart while you sing this epic piece is also a good thing to keep in mind. Oh, and did I mention that I am not at liberty to use my entire body! Hobbling around on a crutch is not the best position a body can be in to sing over that thick orchestration. As far as comparisons, let’s just say the morning after singing Rigoletto and Porgy, I am very tired. Gordon Hawkins as Macbeth in 2006. How would Porgy be different if he weren’t disabled? That’s a nice question. I think the audience would obviously focus more on what he was saying, as opposed to how he was saying it. I would not necessarily call him a poet, but he expresses a kind of philosophy that is poetic. As is often the case with people who are diminished in certain ways, the other senses become keener. How else can you explain the fact that he sees something completely different in Bess than any other character--including the other two men in her life--are able to see? I'll give you a few: Nina Simone singing “I loves you Porgy.” I shake my head in amazement at how hauntingly beautiful her voice is. The recording with Ray Charles and Cleo Lane. I've never heard orchestration that swings as hot as this. EVER! Ella and Satchmo of course. It makes me smile every time! Thanks for a MOST informative interview; it makes me look all-the-more forward to Gordon's interpretation in the SeaOp production!! If I remember correctly from the "Deutsche Oper Berlin" website, Gordon will be going back to Wagner in September in its Goetz Friedrich-production of the "Ring", conducted by Runnicles; that should be great, too!! Toi, toi,toi to Gordon for both his Gershwin and his Wagner! !